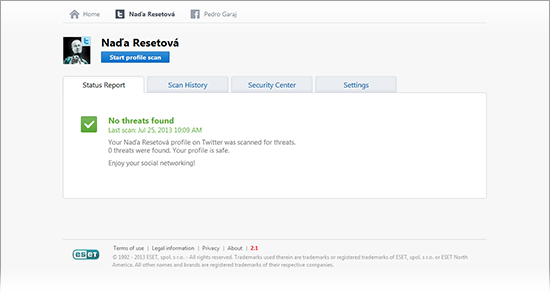 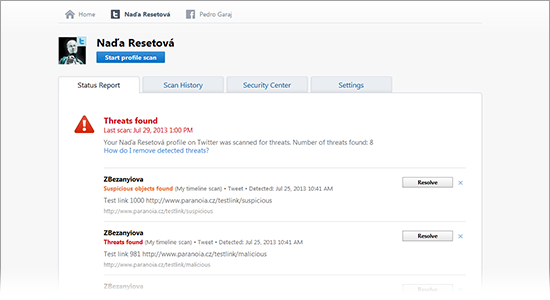 Get notified when a malicious link is detected in your profile. 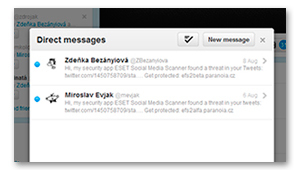 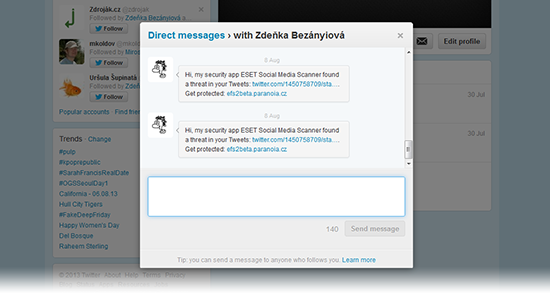 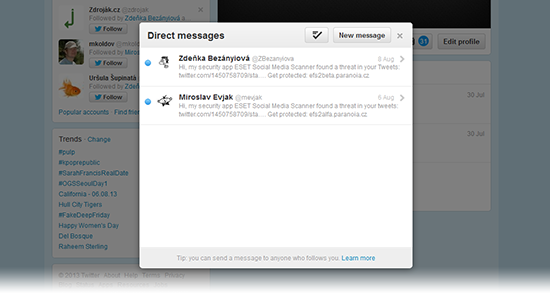 Send automatic direct message to those you are following in case their timeline contains a threat. 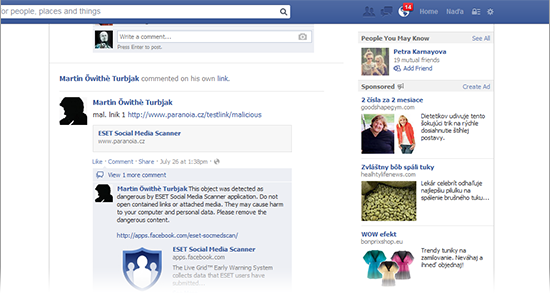 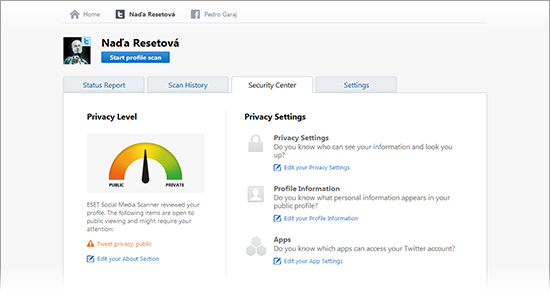 Enjoy your Facebook time secured by our social media scanner. 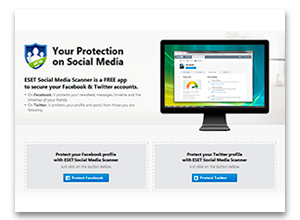 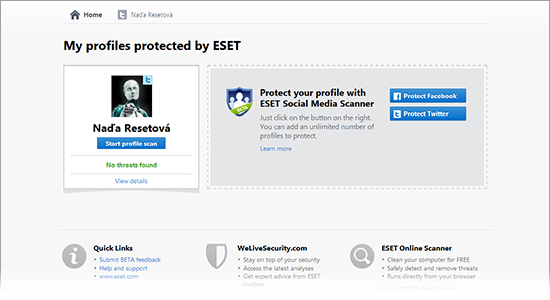 It protects you from malicious links in your profile or in timelines of your friends. 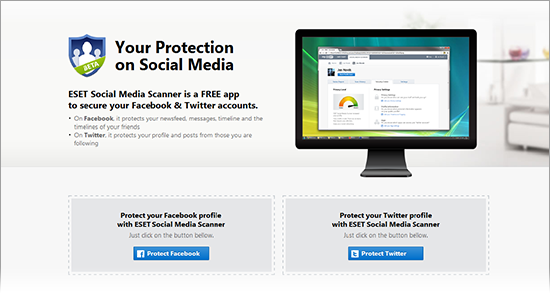 Sign in to my.eset.com to cover unlimited number of Facebook and Twitter accounts. 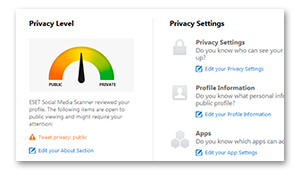 See what personal info is visible for viewing and take immediate action if required. 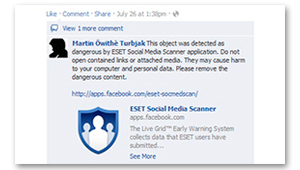 Check what Facebook apps have access to your sensitive information.